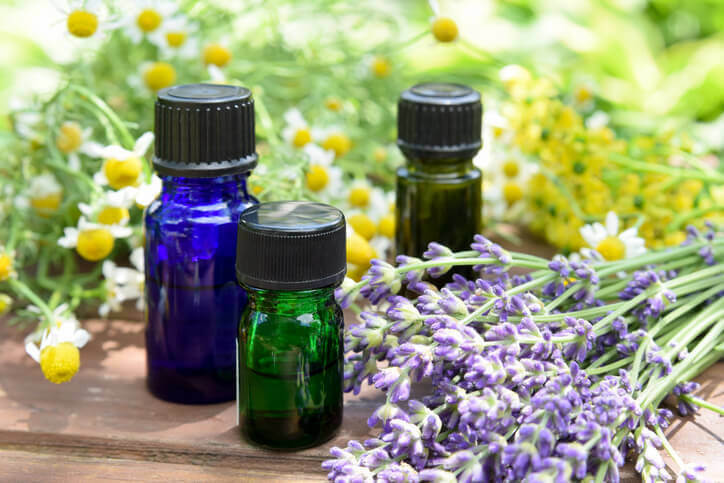 Getting to Know Our Essential Oils – Part 2 — Choosing the most appropriate oils for our concerns. The next step is beginning to explore blending your essential oils. The intention of this Essential Education series is to help instill some confidence with basic information to help you move from memorization to exploration. The method described here is just one method of blending, with some basic parameters to help keep things simple, yet effective. Once you learn more, you will find what works best for your style and needs as an aromatherapy enthusiast. By therapeutic action – using historically known applications for a remedy of a wellness concern of body, mind or spirit. For most home enthusiasts, blending by therapeutic action most often suits personal aromatherapy concerns. You will find many of the home reference books written in this way. As you study more about blending you will see, even within areas of specialty, aromatherapists have their own way of going about it. Aromatherapy is indeed a natural healing art, and blending is a big part of the art. The concept of an essential oil synergy is that the outcome of the blended oils is going to have greater value than the essential oils working alone. If you blend more quantity than for a single use, you will also see the synergy referred to as a master blend, or a stock blend. Before we begin blending, it is important to know what you are seeking to accomplish by answering some key questions. This list is not all inclusive, but is outlined to give you some idea of the planning needed before you even begin to prepare your blend. What concern are you looking to support? It is best to address one primary thing at a time. Your blend can have some supporting effects, which we will address. For whom is this blend being made? Someone who is pregnant or nursing? How is this blend going to be used? Does it need to be KidSafe? Time of day to be used? Now that you have answered questions such as those above, you can begin to choose your essential oils. There may be a variety of choices, but some oils work better together either synergistically, and/or how they smell. This is where being familiar with your oils (what they do, how they smell, what their safety considerations are), as well as which oils best address your concern may be. 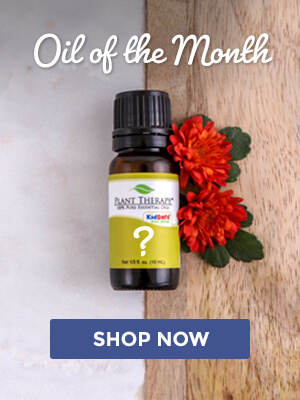 If you need help with this, please review Welcome to Essential Education and Getting to Know Your Essential Oils – Part 2. To begin, we are going to keep blending simple. And, we are going to blend by therapeutic action as a starting point for this exercise. A few more additional oils could be added to enhance the overall synergy, but let’s start with the basics. I have created many effective blends using simply three oils. Once you get going and gain your confidence and more education, you could certainly begin to branch out to more complex methods and synergies. Select Your First Oil — to address your primary concern, ensuring it meets the criteria in the planning phase. Select a Second Oil — to support your primary concern and to support the first oil. Take the caps off the two bottles and hold them together. Gently waft the caps together under your nose (note: you don’t want to touch your nose or take a big sniff. Just a gentle inhale as it passes by). How is the scent? Is it generally pleasing? If you like it, proceed. If not choose another oil you want to go with your first choice oil and start again. What enhancing effect do you want to add to your blend? Do you want to enhance the scent? Enhance the overall action? Do you want to add a supporting action? All the above? Hold the cap of the third oil with the caps of other two oils and do the wafting experiment again. Is the scent generally pleasing? Are you happy with the combination of the three in general? If so, then you are ready to proceed. This method keeps things simple, and it makes for a blend that is easy to use immediately, or to scale up or down with minimal math. 20-40 drops per ml for a master blend stock bottle. Grab your scratch paper and a pencil. Write down the name of each oil you have chosen. Add one drop of the first oil to your cotton ball or scent strip. Mark down a hatch mark next to that oil written on your paper. Add one drop of the second oil and record it. Add one drop of the third oil and record it. Now, take a smell of what you have so far. How do you like it? What would you like to increase or mute? Add one drop of the next oil you choose. It can be any of the three. Don’t forget to write it down. Add the final drop of any of the three oils you choose and smell. How do you like it? Love it? Great! You have your blend. Don’t love it? Start again, adjusting the choice of which oils to bring out more in the blend and which ones you want to stay in the background. Once you are finished, be sure to write down your synergy recipe and store in a safe place. Recipes are written in descending order of volume (which oil you used most first, and then, alphabetically. It is good practice to also include the Latin names, so you remember which variety you used. Be sure to write down the purpose of the blend. If you created a synergy that is larger in volume than for single use, be sure to label the bottle. If you created a master or stock blend, also be sure to date it. Your shelf life will be determined by the essential oil in the synergy with the shortest shelf life when stored properly. These are all mini-master blends to sample if you are looking for some inspiration to get started. Feel free to change the amount of each oil in the synergy suited to your own personal sense and needs should you wish. If you have gotten to know your oils, you can even play with making substitutions that better suit you. This is soothing to aching muscles and joints. Soothing to mind and spirit. Helps to release blocked pain and emotional scars to the spirit. This is a sweet soother to the mind, body and spirit when needing to significantly relax nervous tension on all levels. An invigorating blend. Supports focus and clarity. Shutes, Jade. “The Dynamics of Blending: A Guide to Blending and Reference Manual for Essential Oils and Base Materials.” N.p. : East-West School for Herbal and Aromatic Studies. N.d. Print. I think I will use this process to learn how to use some oils I’ve bought but haven’t put to use yet. I like them individually but then struggle as to how to use them. I was originally going to diffuse them but then I adopted a cat so that’s out! Great article. I will put this information to use. Thanks. Okay, this post was really helpful for me. I took what I learned and I created a master blend that I LOVE: 4 drops orange blood, 4 drops vanilla oleoresin, 2 drops vetiver. It’s a lovely, calming, grounding scent that smells amazing in my diffuser. I’m inspired to get some scent strips and start a log. This is great, thanks! This was a really great article. I am still learning and this definitely helps me to feel more comfortable creating my own blends and making substitutions. Thank you! I never knew where to even begin when making a blend. So glad I found this article. Recently I completed my certification for aromatherapy. I have been searching for more information on blending in a more cohesive “summary” style / straight to the point information, and this is it! Thank you so much PT! The worksheet is definitely going into my keepers folder too. Great article. I had already thought of the idea of holding the bottle caps and waving them under my nose, but it’s great to have additional info on basic blending. Good point about writing everything down immediately as it is very easy to forget. Love getting suggestions for new blends. Thank you! Hi! I have a question on how blends are recorded. It says above that they are written with the EO used most first, then alphabetically. For PT synergies, am I to assume that the first EO listed has the most drops in the blend, but then afterward it’s just alphabetical, not in decreasing order of number of drops? Thanks for the clarification. Jeannette, reach out to our awesome Customer Service team at [email protected] and I’m sure they will be able to help you out! 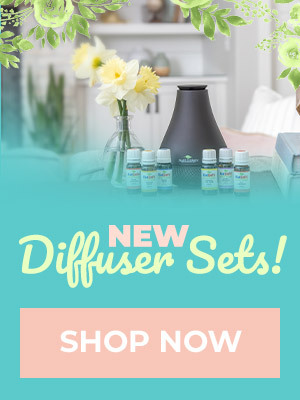 Jeanette, I’m pretty sure what they are trying to say is that the essential oils are first listed by number of drops used (highest number of drops first down to lowest), but then if you have oils with the same number of drops you list alphabetically. 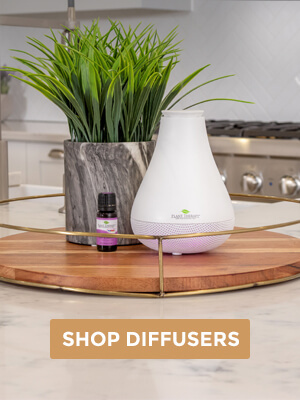 For example, in the Refresh blend above, two oils are tied for first place for having the most number of drops, so you list alphabetically Peppermint then Rosemary. The next oil in the blend is the one with the next most drops-Lime. There is no need to worry about organizing alphabetically here because it is the only one with 1 drop being used. It isn’t listed first in the recipe, even though L comes before P alphabetically, since the first consideration is the number of drops/amount of an oil in a blend, then if there is multiple oils with the same number of drops/amount you alphabetize just those ones. This is something I struggle a lot. Small test batches helps avoid wasting precious eos and headaches. I think I’ve created blends that smells great initially but not really. Oh well. After reading the article, I tried Sensationally Soothing as an inhaler and it is as described! Just what I need right now. This article is amazing! Thank you so much. I love how simply everything is broken down. I’m new to oils and love learning more about them. Can you please consider making a video on how to do 1 of these blends ? Thank you, Carolina! I will pass this idea along for consideration. Thank you for sharing this with us! Wish I had found this article earlier. I love most of my essential oils, but some of the flower ones don’t necessarily love me. Ylang Ylang, after a while, gives me a headache. Lavender in all it’s forms will make us sneeze and seems to be causing sleep problems in the 3 and 5 yr old grandsons that live with me. (Yeah, Nighty-night, while we love it and it smells great, seems to have them up and sleepwalking.) By using these methods, we can try something out before committing to a bottle of it. I am so happy you found this information helpful! My hope is to provide enough information to inspire confidence and encourage experimentation with new ways to use your essential oils! Of course, as I am sure you know, always check the safety precautions of each oil, especially with the wee ones around. There are often many options, and it seems a million ways to blend. I’m confident you will find what works for you! Thank you for this great and educational article! Very helpful and keep them coming! I loved our article! this helped me research the best essential oils for allergies. Especially the synergy and blend ratios. Thank for you the information and keep on rocking!! I’m so glad you found it helpful in doing your research and creating what works best for your unique needs!